This particular photo was taken from the Winnie the Pooh character meet ‘n’ greet location. It shows all the different façades that house Casey’s Corner. The street leading from Main Street, U.S.A. is actually called Crockett Road and gives access to Frontierland, either by a covered walkway ending at The Lucky Nugget Saloon or by a winding path between trees and planters leading to Fort Comstock at the entrance of the land. 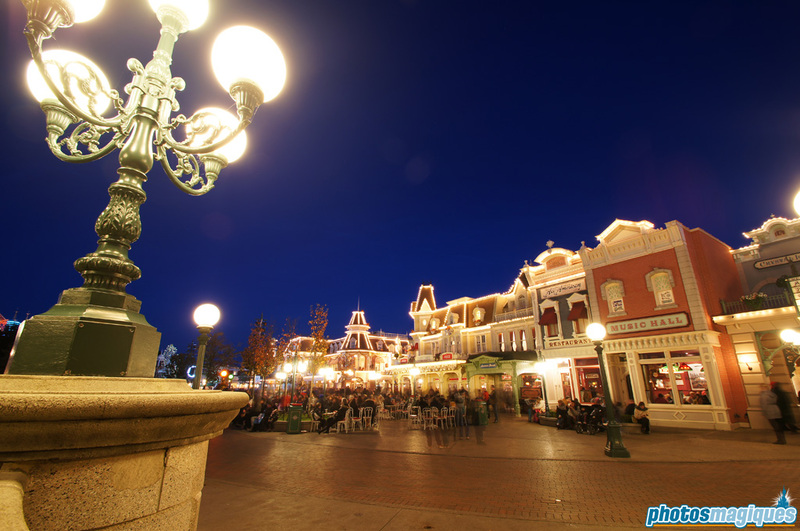 November 21, 2012 Casey's Corner, Main Street, Night Time Photography, Photo of the week, U.S.A.